Milwaukie is more than just a great town to spend a day at--it's a thriving, warm, and vibrant community full of adventurous and driven people. And the team at Gladstone Mitsubishi is so proud to be an active member of it. 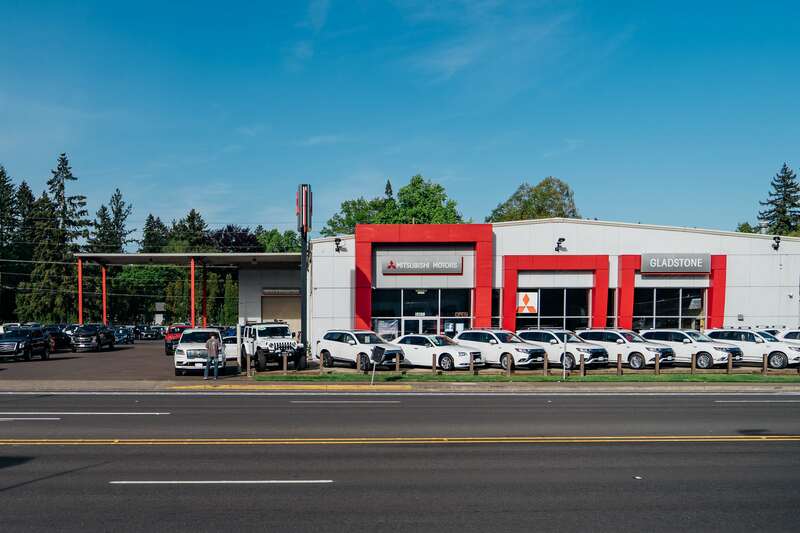 Located just a few miles from Portland, Vancouver WA, Tigard and Oak Grove, our Mitsubishi dealership is always looking for new ways to work with, get involved with, and give back to our local community. Whether you visit our dealership location or just browse online, we're always happy to have you. Why do Oregon drivers love to visit us? It could be the exceptional deals we offer on new Mitsubishi inventory--find the perfect new Mitsubishi Outlander Sport, Outlander, Mirage G4, Mirage or Lancer model within our well-stocked showroom; it could be the great selection of used cars for sale, as well as pre-owned trucks, SUVs, even luxury cars; or, it could be our friendly staff of sales advisors, who are on-hand to help you compare vehicles, explore your financing options for a Mitsubishi car lease or loan, and take advantage of great deals. But why not all of the above? At Gladstone Mitsubishi, we take the full-service experience to a whole new level--and that goes beyond just shopping for a new or used vehicle. Our on-site auto service center is conveniently located near Portland, Vancouver WA, Tigard and Oak Grove to provide expert maintenance and car repairs for all makes and models. Whether you need a simple oil change, a quick tire rotation, a multi-point inspection, a seasonal tire change, or a professional look at your transmission, our team is here to help. Need parts or accessories for your Mitsubishi Outlander Sport, Outlander, Mirage G4, Mirage or Lancer, or replacement parts for your current vehicle? Visit the parts department in Milwaukie for everything that you need to maintain, personalize, or customize. Not sure if Gladstone Mitsubishi is the right fit for your automotive needs? Get to know us! Give us a call, contact us online, or visit us on-location to ask questions or get a quote. We look forward to working with you.